New Delhi, 12 July : Keshas (unshorn hair) are the inseparable part of every practicing Sikh but presenting any person in traditional Sikh dress in clean-shaven form; is blatant insult to the established Sikh traditions and customs. These words were expressed here in a press statement issued by Sh. Manjinder Singh Sirsa, general secretary of Delhi Sikh Gurdwara Management Committee and Advisor to Dy. CM, Punjab with Minister Rank. He stated that the present issue of India Today magazine has published a cover photo of Delhi chief minister Sh. Arvind Kejriwal, showing him in traditional Sikh attire but as a clean-shaven person, which show the interest of Sh. Kejriwal in the elections of Punjab assembly. Mr. Sirsa said that actually this fact is not wrong that Sh. Kejriwal and his party is being too eager to win the Punjab assembly elections at any cost, for which they are not even hesitating to insult Darbar Sahib (golden temple) Amritsar and even Guru Granth Sahib. But the way Sh. Kejriwal has permitted to present himself as a clean-shaven Gursikh, it is a highly offensive act, hurting the religious sentiments of the Sikh community as the Keshas are the inseparable part of any practicing Sikh. History itself is testimony to the fact that till date, thousand of Sikhs have been martyred only due to the unshorn hair supported by them. Realizing the importance of Keshas in the Sikh religion, many countries have given exemption to their Sikh employees for supporting unshorn hair and beard while such exemptions are not given to employees belonging to other religions. He said that such cartoons can generate a misconception that the Sikh traditional attire can be worn by clean-shaven people too. Such misconception can, in turn, create misleading perception about the Sikh community, which can cause great damage to the established Sikh traditions and customs. 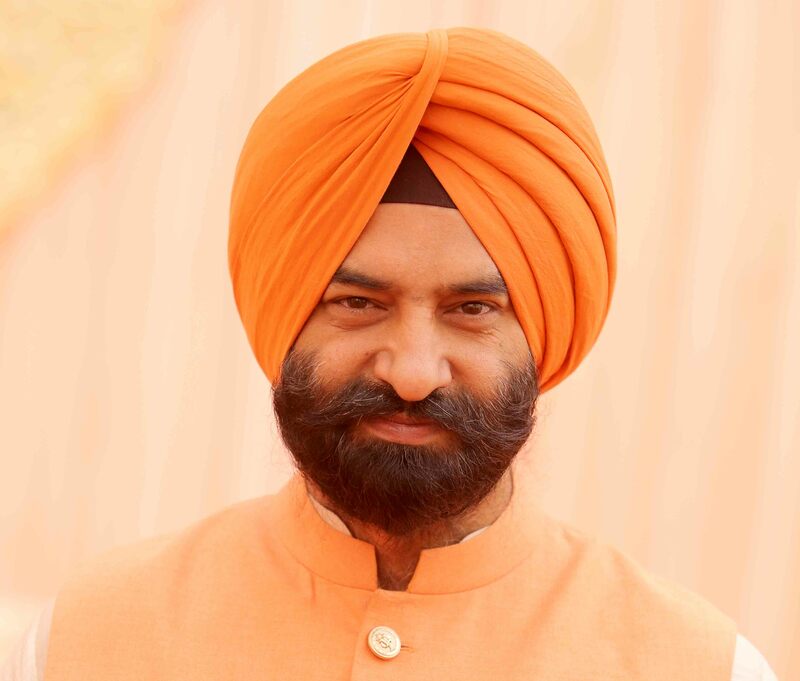 Therefore, he (Mr. Sirsa) has submitted a criminal complaint at police station Parliament Street demanding registration of an FIR against India Today and Mr. Kejriwal, for hurting the religious sentiments of the Sikh community in collusion with each other, under section 295A and other relevant sections of IPC. He warned that if the police failed to take stern action against the accused, the Sikhs all over the world will be compelled to initiate a strong movement against these accused parties. गायक चरण के गीत 'नीले नैन' ने संगीत जगत में फैलाई सनसनी !